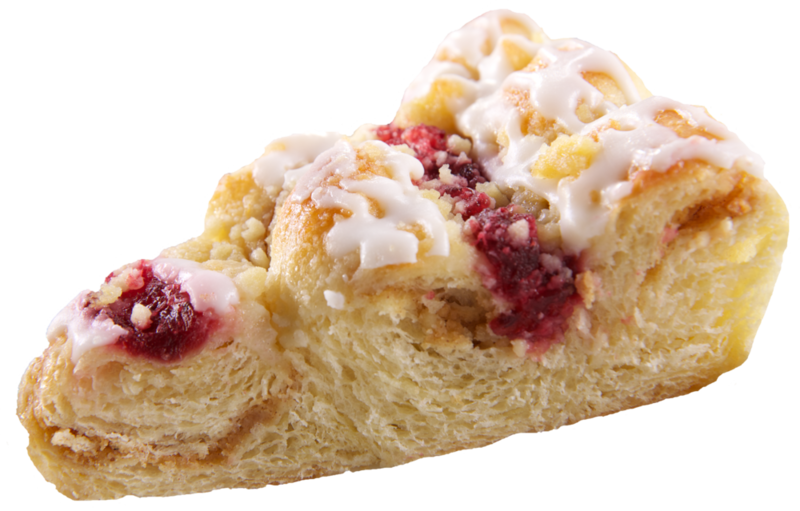 Take a bite of any J. Skinner Danish and you’ll immediately notice a world of difference. It’s a world populated by mouth-watering flavor, superb ingredients and traditional baking techniques. Unlike the products mass-produced by our competitors, each of our artisan-style danishes are moist, exquisitely textured, and sublimely scrumptious. That’s because we know you can’t rush delicious. We put time, thought and care into every crumb. From start to finish, it takes 36 hours to make a J. Skinner Danish. Our artisan dough is folded again and again into over 100 thin layers before it rests for up to a day at 34°F, which slows the yeast down, allowing flavors to blend and the yeast to rise perfectly. After its day of rest, we add a generous amount of creamy fillings or REAL fruit toppings before baking it to a golden brown. Indulgent icing is added and then it’s off for packing and shipping to a store near you!